Good oral hygiene is one way to avoid spending thousands of dollars at the dentist to correct easily preventable issues. One of the most common corrective methods used to save a tooth or teeth is having a root canal. When a tooth decays to the point that infection reaches the pulp or root of the tooth, a dentist will typically recommend a root canal or extraction. A root canal is an option that saves the tooth from being removed and involves the removal of diseased and damaged pulp, filling of the cavity and restoration and rejuvenation of the previously damaged tooth. Brushing the teeth at least twice daily, or after meals are the simplest way to avoid getting a root canal. Brushing should last for at least two minutes and include the tongue, gums, and inner cheeks. Flossing should take place at least once daily after meals. Flossing helps to remove food particles and bacteria from places a toothbrush simply cannot reach and can help to prevent bad breath and tooth decay. Fluoride toothpaste and rinses will help to prevent tooth decay and cavities by hardening the enamel and eliminating plaque. Dentists are able to thoroughly clean the mouth and remove any buildup of plaque and bacteria the patient missed with their toothbrush. Dentists are able to detect problems early before they get to the stage of requiring a root canal. If a cavity is detected, yet goes untreated, the damage and bacteria will most definitely continue to spread. This will eventually lead to nerve damage and the need for a root canal. Getting cavities filled as early as possible prevents this from becoming a reality. Persons who play sports should definitely consider wearing a mouth guard because this can lead to fractures which will expose the roots of the tooth to infection. Persons who clench or grind their teeth should also consider wearing a night guard to protect against wear and tear of the teeth. This tip is especially useful for those who have week teeth or restorations. Hard candies and lollipops can lead to crack or chips which can lead to bacteria entering the tooth’s root. Crunchy vegetables and fruits can also lead to this. While tearing some plastic or opening a bottle with your the teeth may be convenient, it can have some pretty negative consequences. This can lead to fractures, cracks, and breaks in a tooth or filling and where bacteria can travel down to the nerves or the root. When left unchecked, sugar and acids in the mouth break down the enamel which causes cavities. Bacteria can accumulate in the cavities which eat away at the tooth further down to the roots. 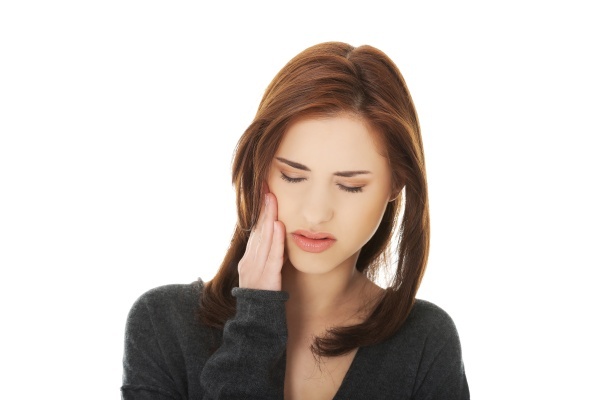 Pains coming from the gums and teeth should not be ignored. This could be a precursor of what is yet to come. A dentist will be able to fix this problem before the situation becomes dire and the patient needs a root canal. Root canals are avoidable. And if you follow these tips, you will surely avoid the pain, time, energy and money that are associated with them. Contact our office today and we can answer any additional questions you may have and help to guide you in making the best decisions for your oral health. Contact us today!